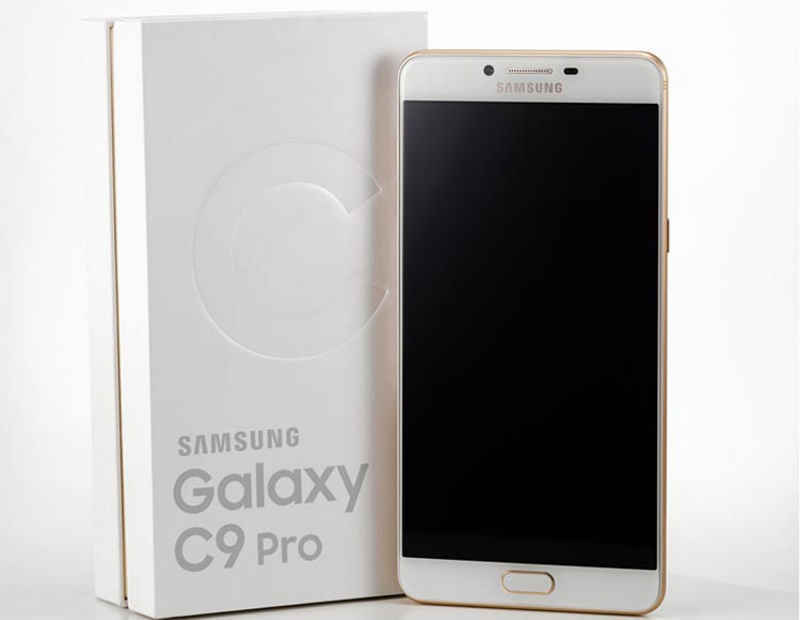 Samsung C9 pro is now available for pre-orders in India. As bigger highlights phone comes with 6 GB RAM, 16 MP camera. Phone is priced INR 36999.You can pre-book it from Samsung online as well as offline stores. Phone is powered by QUALCOMM snapdragon 653 octa-core processor, four cores clocked at 1.95 GHz and rest four clocked at 1.4 GHz. This processor is supported by massive 6 GB RAM and becomes the highlight for C9 Pro. Snapdragon 653 is the latest processor from QUALCOMM, which was unveiled last week. This phone is a real beast and able to perform multi-tasking as well as high end gaming. Phone comes with 64 GB internal storage so that you will not run out of storage. C9 Pro also supports micro SD card to expand storage up to 256 GB. Phone is running On Android 6.0 Marshmallow operating system, but there is no information about further upgrade to Android 7.0 Nougat. For the purpose of photography phone comes with 16 megapixel front as well as back camera. Rear camera features a dual-LED flash for better photography in dark light. Picture quality with front and back camera is awesome. You can also record 4K videos on this phone, also supports 4K video playback. It features 6 inch full HD AMOLED display with 1080×1920 pixels resolution. Phone also features fingerprint scanner mounted on physical home button. Phone is backed by a massive 4000 mAh battery to give a long lasting backup. On connectivity front phone supports 4G LTE, Bluetooth v4.2, Wi-Fi (802.11 a/b/g/n), GPS, Glonass, Beidou, NFC, USB Type-C, and a 3.5mm audio jack. It is a great deal by samsung has launched this smartphone with high quality specification, I really like its features. Compare the price of samsung c9pro in India at various online shopping sites to visit on Price Hunt.